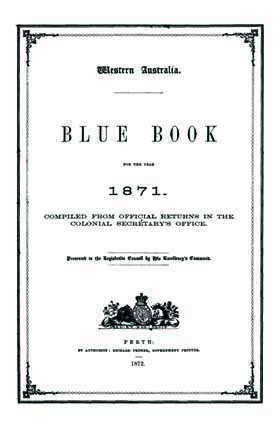 Blue Books are summaries of governmental activities and contain many statistical records determined by the activities of the government and the economy - making them a wonderful genealogy resource! Given the lack of census records in Australia, these publications can often provide useful information about government employees. These records contain six different data sets of Blue Books: 1871-1889, 1891-1895, 1898, 1900, 1901, 1905. Exploring your family history or building a family tree?